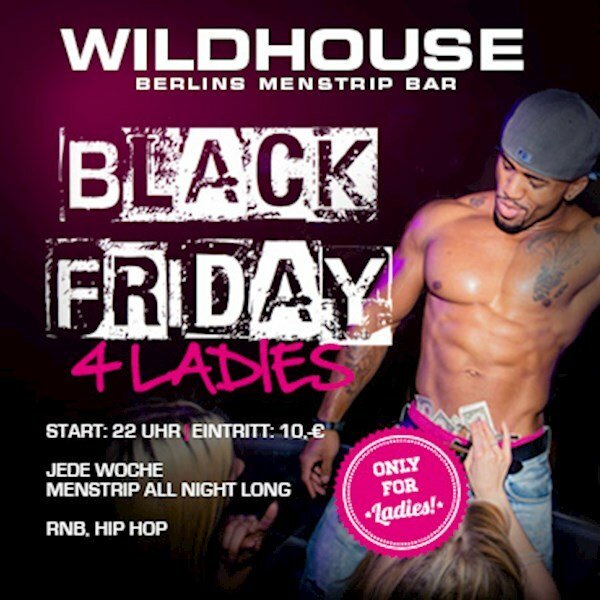 This event "Black Friday 4 Ladies at Sixx Paxx Wildhouse Berlin" @ Ladies Club has already ended on 09/02/2016. The deadline at our guest list has ended on 09/02/2016 at 6:00 PM. The deadline at our lottery has ended on 09/02/2016 at 3:00 PM.